HandyQuick was founded to provide a complete range of repair, maintenance, improvement and remodeling services to homeowners, landlords, property managers and real estate professionals. 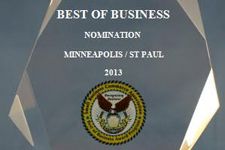 Its parent company, 33rd Company, is the premier residential property management company in the Twin Cities. Established in 1993, we have created a network of residential repair and maintenance resources to all of our needs for properties it manages. HandyQuick now offers the same high-quality services to residential properties throughout the Minneapolis St. Paul metro area. Integrity – In everything we do, we strive to perform with the highest levels of integrity. That is the core of our business ethic, and is the basis for our professionalism and dedication to customer satisfaction. Fair, Competitive Pricing – On every job, we provide an accurate estimate of cost to our customers. Our prices for services are highly competitive because we work efficiently at all times. Courtesy & Respect – At all times, our service personnel will treat you and your property with the utmost respect. From the time we arrive until your tasks are completed, we never forget that our customers are our most valuable assets. Promptness – We pledge to arrive on time to start our work and to complete all work we do for you as scheduled. We won’t leave your work unfinished, but will continue each project until it is completed. Professionalism – All work we do in your home will be done by qualified professional craftsmen, with long experience in their trades. Professionalism is the key to top-quality performance. Customer Satisfaction – Excellence in customer service is always our top priority. Your complete satisfaction with our work is our standard of performance, and that performance standard is the reason for our success. Anytime you hire a worker to come into your home to provide a service, you expect excellent service, expertise, and efficiency. At our Minneapolis St. Paul full-service residential handyman service company, we have the same high standards. We treat each customer like a member of our own family and each home we serve as if it were our own home. Our reputation is on the line with every job, and we never forget that. 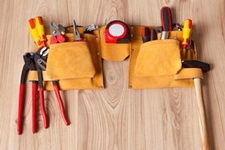 Anytime you need home maintenance, repair, or remodeling services, your call to HandyQuick is your assurance of prompt, efficient work done properly and professionally by courteous, highly trained professionals. Copyright © 2015 HandyQuick MN LLC. All Rights Reserved.